Next post: My Favorite Places to Shop til I Drop! It’s that time of year again. Time for my schedule to get even more busy than it already is. My Tuesday’s and Saturday’s will now be even more jam-packed! Time to sit on the bleachers in the blazing sun. Time to yell at the other parents who are being completely unreasonable to a bunch of 7, 8 and 9-year olds, they are KIDS! And time to have mud, dirt and sweat all over my truck. BASEBALL SEASON! 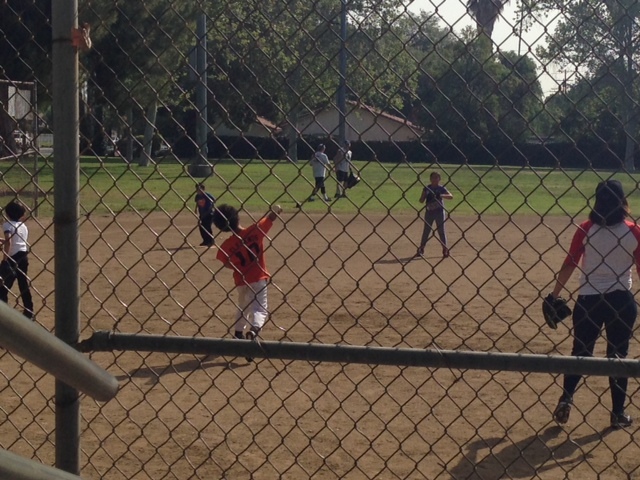 For the past 3 years, my son has played baseball at the local park and each year he gets better and better. This year, he is finally on an age-appropriate team. In the previous years, I feel like he was the oldest on the team, mainly because his birthday is right before the cut-off date. But this year, all of the kids are his age or older and they are all REEEEALLY good! I’m excited for this season. He is in his element and this is one sport that he will be playing for a while. I love that he can be active again. Video games are usually his extracurricular activity of choice, but now he is happy to be outside and playing with his peers. I can’t wait for the season to start so I can cheer him on and be that annoying mom in the stands telling him how his stance should be all while holding a sign with his name scattered all over it! Let’s go Angels!! This season will be phenomenal!! !